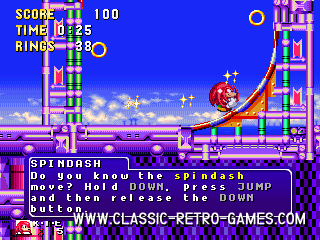 Sonic introduced mega fast side scrolling, looping, sliding and jumping platform action. The game is famous because of this unique gameplay. And SEGA has turned the concept inside out for maximum profit ofcourse, resulting in many spinoffs, merchandise and what not. 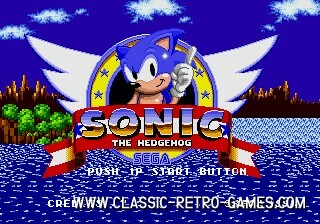 But Sonic 'The Hedgehog' is the game it started with. Not so much of a classic for those who think of retro as in eighties games, but still, this is a historical title. 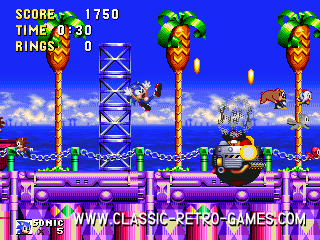 Open Sonic (which this is), is a GREAT version of Sonic for Windows PC. It's free for download, so what are you waiting for? 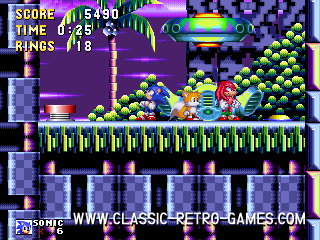 Get this SEGA retro classic and start collecting those rings! Currently rated: 5 / 5 stars by 348 gamers.